As a part of our Makeup Artist Series, this time we take you down south. Meet Bangalore based, renowned makeup artist- Zohrain Khaleeli who chose makeup over an MBA degree and a computer hardware business! 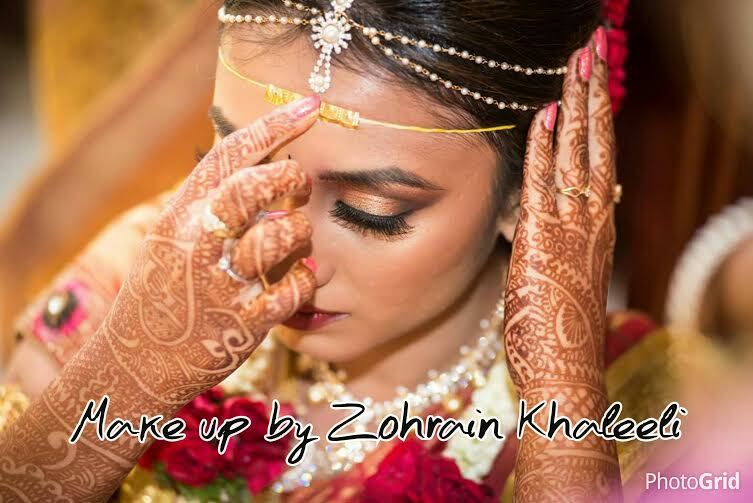 Meet Bangalore based makeup artist and founder of Zorains Studio, Zohrain Khaleeli. She has some wonderful tips to give to all the brides-to-be. Oh! And you are so going to fall in love with her signature bridal look. Besides, those of you who are chasing a dream to become popular makeup artist like her, please don’t forget to read the advice she has given towards the end of the post. 1. What is a day in the life of Zohrain like? What I love about my life is that no 2 days are always alike. A day could start at 4:00 am with a South Indian bride and end at 12:00 with a North Indian bride to just getting up lazily to the beautiful smiles of my family. But an ideal day is normally when I would rise by 6 and then go for my morning walk with my husband in the local park, come back to get my boys up and out to school. Then spend some time listening to some positive chants or thoughts for the day. By 10 am I am at work inspiring young artists to embrace the wonderful world of makeup and by evening I focus on enhancing my bride or come back to the warmth of the family. In between when I find the time I catch up with some me time by meditating, dancing or photography. So if my father had his way I would be an MBA from a coveted institution in Australia. But I always knew what I wanted to be, I started my first makeup course when I was 15 years of age and never turned back. I did do a degree in management but always was drawn back to my world of beauty and colours. At one point of time, I did handle my father’s computer hardware business, but that was surely not what I desired. The primary difference between makeup for a bride and TV/ Film is the fact of one being a virtual view and the other being more realistic. TV and Film have very strong lights that bleach out a lot of the makeup, therefore the application is more layered and there are sharper edges to the contours and finish. It is also based on the emotion of theme of the show or film. But bridal is more blended, glamorous yet at the same time an enhancement of the bride’s true self. With bridal, it has to be a blend of effects for both real life as well as photography. But now with technology in photography advancing with HD it is slowly bridging the gaps between both forums to being more natural and real. One of my most memorable experiences was with one of my most favourite actresses Zeenat Aman. 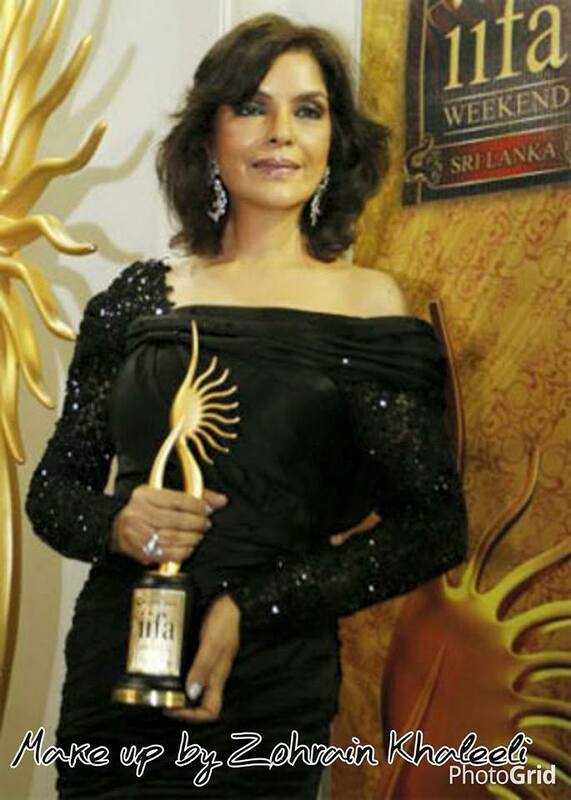 I grew up admiring her timeless beauty and elegance and then I finally got to do her makeup for the IIFA awards in Srilanka, the year she received her life time achievement award. When she sat in my chair…I must say she was still so gorgeous, she mentioned a concern about her surgery to one of her eyes causing one to appear a bit smaller than the other and mentioned that she would have to wear her spectacles to go on stage. So we struck a deal… I promised her that I would take care of that and ensure she looked amazing and she in return promised to not wear her spectacles during the event. That night she collected her award without her spectacles!!! For the past 8 years, I worked with a leading cosmetic firm called MAC Cosmetics. I headed training for South East India and finally got promoted to Heading Saudi Arabia based in Dubai. During this period, my role required me to travel 18 days a month… the balance was a bit of a challenge although I ensured weekends I spent quality time with my family especially my 2 boys. But now that I am finally out on my own I enjoy the ability and flexibility between work and an active family life. I am now able to also spend time on myself doing things I love like dancing/ bike rides and learning photography. Indian beauty is timeless, the Indian women is always known for her mesmerising eyes, large winged liners and full lashes. Although modernisation has definitely brought about a change in the techniques of application of products from being layered to more minimalistic as well as the color choice from being multi-colored to more subtle shades and monochromatic. Nudes are slowly becoming more popular and people are open to being an enhanced themselves. The Indian women are now open to focus on lips as well, the color red on the lips was once considered rebellious and Indian women focused on more brown or maroon shades to now where red is a style statement and the average Indian is open to wearing a wider range of colors like peach orange and bright fuschia pinks. This is mainly due to the vast range of products being introduced into the market by varied international brands. Social media has also changed the way the Indian women want to look. The biggest mistake that is the most common is with the whole choice and application of foundation. The skin is a large part of our face and call for a lot of attention if not done well. The basics of having a moisturiser as a base to every application of foundation to the fact of not dabbing foundations all over the face and then blending rather than focusing on an area by area. Also the fact of not taking the foundation down to the neck, this makes the face look like a separate entity. The color is something I would strongly recommend should be chosen with professional advice. The basic kajal and mascara is a powerful tool for an Indian beauty. This I strongly feel is underutilized. My inspiration comes from people in the industry and outside. My father and mother, sisters have always been my inspiration to follow my dreams which later was followed by my husband and kids. 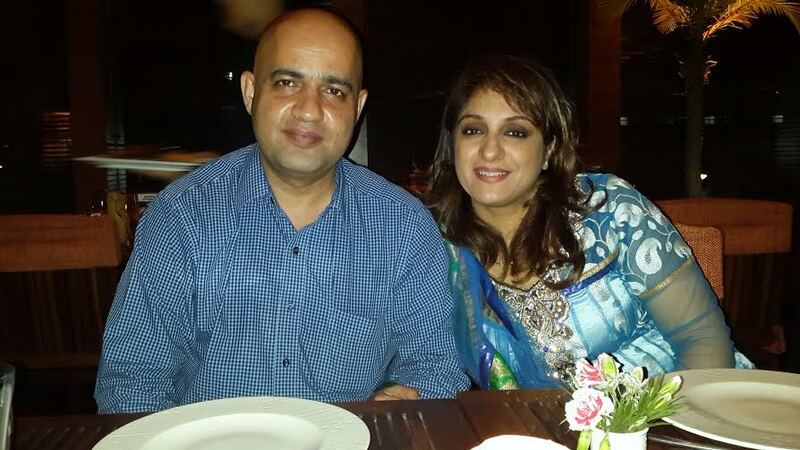 They have always been a pillar of support and inspired me to keep going. 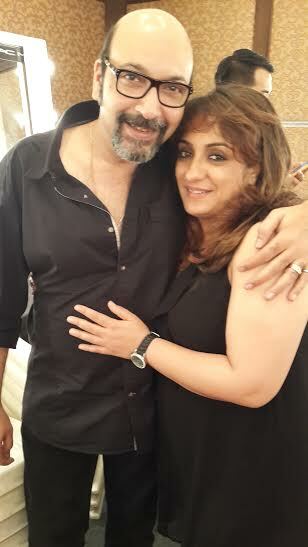 From the industry, my inspiration has to be Mickey contractor who I have extensively worked alongside with. His versatility and attitude towards makeup inspires me to reach greater heights. He revolutionised the way makeup was worn in Indian cinema and modernised the way Indian women thought of makeup. Internationally it has to be Tom Pecheux, Val Garland, Charlotte Tilbury and Alex Box. My early years in makeup was highly influenced by Kevyn Aucoin. For someone who would like to pursue the Art of Makeup, I would say here is no better joy than to do what you like and also get rewarded for it in terms of monetary benefits and instant gratification. The feeling of having your bride have the biggest smile on her face on her most special day is unmatched and it just gets better with the testimonials post the wedding. With regards to competition, I would say that everyone has a different style and there are millions of takers for every different styles. This is one field that will never get affected by recession as whatever may be the market condition it is a life cycle that has to go on, people will get married and in a country like India with varied castes and cultures there is always work to be done. Follow your own path and be true to what you do, success will always follow. To get in touch with Zohrain Khaleeli, please send an email at zohrainis@gmail.com or visit her Facebook page.